Nestle is the world’s largest food, and nutrition group, not only in terms of its sales but also in terms of its product range and its geographical presence: Nestlé covers nearly every field of nutrition: infant formula, milk products, chocolate and confectionery, instant coffee products, frozen ready-made meals, mineral water etc. Nestle also a major producer of pet food. Organization, when these organization fails to gives their employees facilities then employees develops a feeling of dissatisfaction. We are acquired more experience to research and analysis this report, that help us future job performance. We also learn various things .We collecting data and some valuable information by internet from Nestle Bangladesh Ltd. Official web-site, friend and annual report. We create these report by Microsoft office 2003. An employee has may a grievance. For this reason develop a Dissatisfaction in employees mind. Employee’s motivation is a part of Organizational Behavior, since we are student of BBA, and this part of BBA program, our Organizational Behavior course teacher Sadia Tangem assigned us to prepare a report on Employee’s motivation in a multinational organization as related topic Organizational Behavior course. We have selected our report topic as “Employee’s motivation in Nestle Bangladesh Ltd.”. We have made a survey for required information in Nestle official site in net. We have prepared our report on January 3, 2012 which will be submitted by January 4, 2012. There is a certain boundary to cover this report. Our particular report only covers on how the employee motivated Nestle Bangladesh Ltd. We mainly focus what types of motivation process follow and what types of principles follow to motivated Nestle Bangladesh. The employees of Nestle Bangladesh Limited were too busy of there work. For this, they did not sufficient time to fulfill our queries and some of them neglected us to support. Primary Data: The employees of Nestle Bangladesh Limited were too busy of there work. For this, they did not sufficient time to fulfill our queries and some of them neglected us to support. We collecting data and some valuable information by internet from Nestle Bangladesh Ltd. Official web-site and others web site, friends and many others peoples. 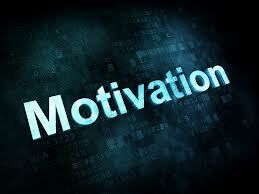 Motivation is a term that refers to a process that elicits, controls, and sustains certain behaviors. For instance: An individual has not eaten, he or she feels hungry, as a response he or she eats and diminishes feelings of hunger. According to various theories, motivation may be rooted in a basic need to minimize physical pain and maximize pleasure, or it may include specific needs such as eating and resting, or a desired object, goal, state of being, ideal, or it may be attributed to less-apparent reasons such as altruism, selfishness, morality, or avoiding mortality. Conceptually, motivation should not be confused with either volition or optimism. Motivation is related to, but distinct from, emotion. Intrinsic motivation refers to motivation that is driven by an interest or enjoyment in the task itself, and exists within the individual rather than relying on any external pressure. Intrinsic Motivation is based on taking pleasure in an activity rather working towards an external reward. Intrinsic motivation has been studied by social and educational psychologists since the early 1970s. Different types of motivation are frequently described as being either extrinsic or intrinsic. Extrinsic motivations are those that arise from outside of the individual and often involve rewards such as trophies, money, social recognition or praise. Intrinsic motivations are those that arise from within the individual, such as doing a complicated cross-word puzzle purely for the personal gratification of solving a problem. best of their abilities. Financial rewards and incentives are common in the business world today; although, most experts agree money is not the best motivator because the motivational effect of most financial rewards does not last. According to Donna Deeprose (1994), “For one thing, while the presence of money may not be a very good motivator, the absence of it is a strong demotivator”. Therefore, financial rewards are an absolutely necessary base to successful motivate a company’s workers. The most common types of financial rewards that will be discussed in this paper are salary increases, profit sharing, incentive travel, and paid time-off. be a strong de- motivator, primarily because people use money as a scorecard to measure their achievement. Money is also an indicator to the person of how important he or she is perceived to be within the organization. The absence of salary increases or bonuses to some employees would indicate that they are not valued within the organization. Continues to suffer, companies are facing the challenges of giving raises or bonuses. In recent years, most employees are willing to give up a raise if it means they could avoid being laid-off. In a year when money is not available for bonuses and raises, companies can make wise use of recognition programs and team rewards. “But companies cannot adopt a ‘products only’ policy for long. Experts say one year is the limit” If employees go for more than one year without receiving a raise or a bonus, their productivity is likely to decline, and valuable employees may be tempted to look for other employment, which can be costly in rehiring expenses. benefits both the employee and the employer. This is a win-win situation for both. A couple of most commonly used types of profit sharing programs are those based on the companies’ productivity and those which offer stock as a reward to employees. of being a ‘need’ that is generally never satisfied. Linking ‘people working smarter’ with some equitable reward system serves to reinforce the motivational process. ‘Gain-sharing’ is an effective reward system capitalizing on both aspects.” Profit sharing/bonus programs have the dual effect of motivating employees to be more productive and to cut costs. The second most common type of profit sharing is rewarding with stock; and as the company does better, the value of the its stock increases in value. According to Bob Nelson (1997), “One of the highest forms of recognition is to treat an employee as if he or she is an owner of the company. This represents a long-term commitment to the individual.” Stock is usually reserved to motivate high- level managers or key people within most corporations, and a couple of reasons exist for this trend. First, if managers are motivated by a profit-sharing program, they will make decisions that will benefit the corporation long term. Second, most mid-to-lower level employees prefer an immediate reward or incentive like a bonus system previously discussed to reward outstanding effort. effective way to financially motivate employees is with incentive travel. Many times when employees are rewarded with cash bonuses or pay raises, the money is used to pay off debt or everyday types of financial expenses. While money for everyday expenses is good, the added appeal of incentive travel, as a bonus or reward, is that employees would probably never buy something like it for themselves. rewards used to motivate employees. The amount of paid time-off can vary from an extended lunch to multiple days off at the same time. Bob Nelson (1997) suggests how this can be done effectively, “If the job permits it, simply give people a task and a deadline and specify the quality you expect. If they finish before the deadline, the extra time is their reward. This report speaks of emotive forces as internal emotional drives for performing a task. Effective motivation of employees goes beyond the financial compensation for work, and some of the most well-known companies in the world have realized the benefits of appealing to their employees’ drive to work intelligently and to be recognized. Most motivators lead directly to the empowerment and enabling of people to perform well. Productivity can be improved when a company focuses on the following: goal setting, communication, autonomy, responsibility, and flexibility. measurable objectives and becomes energized with each win (Nelson, 1997). The process of defining the roles and objectives of the staff brings an invaluable opportunity for sharing communication between the employee and management. motivating its workforce. Communication of clearly stated goals and paths to achievement is the best way to begin developing employee talent Registering and acting on the communication of employees also gives a powerful message about their value to the company and management Employees want their company and team to succeed; and when management uses the input to help them be productive, a sense of empowerment and ownership of the process develops. The open communication also gives a measure of control over their work environment and allows for the improvement of each individual working situation. View as an award. Communication also gives rise to trust between the supervisors and their staff. Trust enables management to give autonomy and to encourage independence, and that trust builds a strong sense of community for the employee. organization that is concerned with everyone’s role in achieving overall objectives is more adaptable and flexible. Employees will take responsibility for achieving goals in a broader context and will have less rigidity in the interpretation of job roles. The lack of rigidity will enable problems to be dealt with more efficiently and will give greater satisfaction and empowerment to each employee. An effective and productive organization is the major insurer of employee retention, satisfaction, and motivation. perform brilliantly because they are accountable for that particular function. Responsibility for a project will also give a good employee the opportunity to display talent and creativity in solving a problem or completing a task. When tasks are clearly outlined to stress individual and group accountability, employees feel that management is putting trust and faith in their abilities to perform. 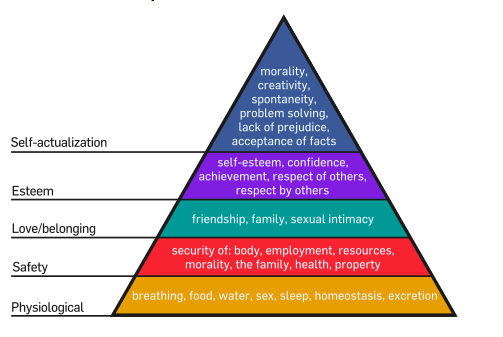 The most fundamental and basic four layers of the pyramid contain what Maslow called “deficiency needs” or “d-needs”: esteem, friendship and love, security, and physical needs. With the exception of the most fundamental (physiological) needs, if these “deficiency needs” are not met, the body gives no physical indication but the individual feels anxious and tense. Maslow’s theory suggests that the most basic level of needs must be met before the individual will strongly desire (or focus motivation upon) the secondary or higher level needs. Maslow also coined the term Met motivation to describe the motivation of people who go beyond the scope of the basic needs and strive for constant betterment. Met motivated people are driven by B-needs (Being Needs), instead of deficiency needs (D-Needs). Job enlargement – workers being given a greater variety of tasks to perform (not necessarily more challenging) which should make the work more interesting. Job enrichment – involves workers being given a wider range of more complex, interesting and challenging tasks surrounding a complete unit of work. This should give a greater sense of achievement. Empowerment means delegating more power to employees to make their own decisions over areas of their working life. “What a man can be, he must be. This forms the basis of the perceived need for self-actualization. This level of need pertains to what a person’s full potential is and realizing that potential. Maslow describes this desire as the desire to become more and more what one is, to become everything that one is capable of becoming. This is a broad definition of the need for self-actualization, but when applied to individuals the need is specific. For example one individual may have the strong desire to become an ideal parent, in another it may be expressed athletically, and in another it may be expressed in painting, pictures, or inventions. As mentioned before, in order to reach a clear understanding of this level of need one must first not only achieve the previous needs, physiological, safety, love, and esteem, but master these needs. Causality Orientations Theory (COT), the third mini-theory, describes individual differences in people’s tendencies to orient toward environments and regulate behavior in various ways. COT describes and assesses three types of causality orientations: the autonomy orientation in which persons act out of interest in and valuing of what is occurring; the control orientation in which the focus is on rewards, gains, and approval; and the impersonal or motivated orientation characterized by anxiety concerning competence. Hygiene factors (e.g. status, job security, salary, fringe benefits, work conditions) that do not give positive satisfaction, though dissatisfaction results from their absence. These are extrinsic to the work itself, and include aspects such as company policies, supervisory practices, or wages/salary. Essentially, hygiene factors are needed to ensure an employee is not dissatisfied. Motivation factors are needed to motivate an employee to higher performance. Herzberg also further classified our actions and how and why we do them, for example, if you perform a work related action because you have to then that is classed as movement, but if you perform a work related action because you want to then that is classed as motivation. People lack ambition and dislike responsibility. People are gullible and not very bright. People are ambitious and seek responsibility. People want to contribute to business growth and change. For employees who are taken on for a trial period the measuring performance may determine whether or not their contract is renewed. Joint objective setting and a development approach are positive and participatory, encouraging regular and frequent dialog between managers and individuals, or teams, with a shared result focus, and helping employees to accept their own commit to change and improvement. Performance management focuses on future performance planning and improvement rather than retrospective performance appraisal, so it contributes to an output, customer and flexibility focus. Task that organization provide, it become more easier than the unmanaged procedure. It is a picture of developed, well cultured and well civilized business process. It can be said that Nestle is one of the best leading food manufacturing company in our Country. Moreover, the quality of this company’s product is world class. We hope that this company will continue their business with lots of good food and bakeries. And also we are wishing that they will increase their branches all over the world. In addition, it can be observed that it creates a lot of employment facilities in our Country. For this reasons, we are proud of this company.